ROSHAN MORAR is a well-respected financial professional committed to making a difference at multiple levels in South Africa's economy. 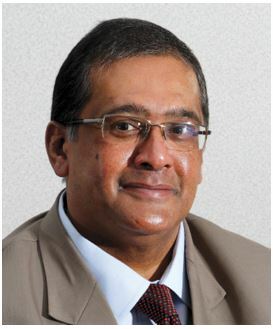 In 1995, Roshan Morar opened his own accountancy firm in a small office in Church Street, Pietermaritzburg. Morar Incorporated now operates from ten offices and employs in excess of 180 staff. With its head office in Pietermaritzburg, and offices in Umhlanga, Bloemfontein, Polokwane, Mbombela, Kimberley, Rustenburg, Cape Town and Centurion, the firm is positioned to service a national and diverse network of clients. Morar has obtained substantial experience in all aspects of the corporate environment, more especially in property investments and finance, risk management and private equity transactions. He has also been involved in an advisory capacity to various successful start-up businesses, including black economic empowerment management buyouts, among others. Driven by the motto "no client is too small", the firm initially geared itself towards servicing black-owned businesses, many of which were small and medium sized family-owned businesses. The first family to take its business to Morar are still clients of the firm today. Many such businesses remain an important focus of the auditing and tax services work provided by the firm. However, clients now cover a wide spectrum of business and industry, ranging from the sole-proprietor to large national based corporations. In line with Morar's aim to provide value added services, he and the firm's employees pride themselves on building relationships with clients and it is this personalised approach that has been a consistent hallmark of the practice. In addition, confidentiality and the quality of service provided are critical aspects to superior service delivery. Morar says of his career, "As an emerging black entrepreneur, there were many doors that remained closed. I remained focused and determined to change this. Taking calculated risks, hard work and being determined to achieve success, has driven my career. In addition, balancing time and planning is key." It is clear that his journey is far from finished. Morar's success is evident in the many high-profile board positions and board committees on which he currently serves. Morar is the chairman of the South African National Roads Agency (SANRAL) to which he was appointed in March 2015. In addition, he is the chairman of the Ithala Group Board. The various committees that he serves on range from acquisitions, to commercial, audit and risk, human resources, to remuneration and nominations. Of his various directorships, Morar says, "The board appointments have enhanced my personal and professional growth. The experience and exposure which I have acquired as a board member has helped build my business acumen." The growth in Morar's business acumen is apparent in his plans for his firm. Not only is there a strategy in hand to further reinforce the company's presence in South Africa, he has his sights set on growing the practice beyond the national borders to establish the firm as a fully-fledged African firm. The capacity to analyse complex financial issues and to understand the spectrum of risk a company could be facing is essential in today's business. Morar is strongly of the opinion that South African businesses need to be prepared for a cross section of business risk as with the economic pressure in today's world, the potential for fraud was high. "It is imperative for every business to undertake a risk assessment process to determine the potential impact as a result of interruptions to time sensitive or critical business processes. Our internal audit division has now acquired the relevant CURA Risk Management software to document risks identified and assist with managing these risks to ensure business continuity," noted Morar. Morar Incorporated consult for all three spheres of government and conduct external audits on behalf of the auditor general of South Africa, of which the firm is an accredited service provider. It also makes Morar Incorporated the preferred service provider for international companies wanting to start trading in South Africa. Morar Incorporated has recently affiliated with IECnet, an international association of audit, accounting and tax professionals. "'We are delighted to be a member of this prestigious organisation. Our involvement with IECnet offers us a global platform to interface with leading international businesses and be at the forefront in providing world class business solutions to our clients," Morar added. Under the business guidance of Morar you are in good hands. He is well on his way to making a positive impact on South Africa's growth and development. Morar says of his personal vision: "I wish to make a difference at all levels; to create a legacy that would stand tall and be recognised as having made a difference. All we leave behind are our names and reputation."